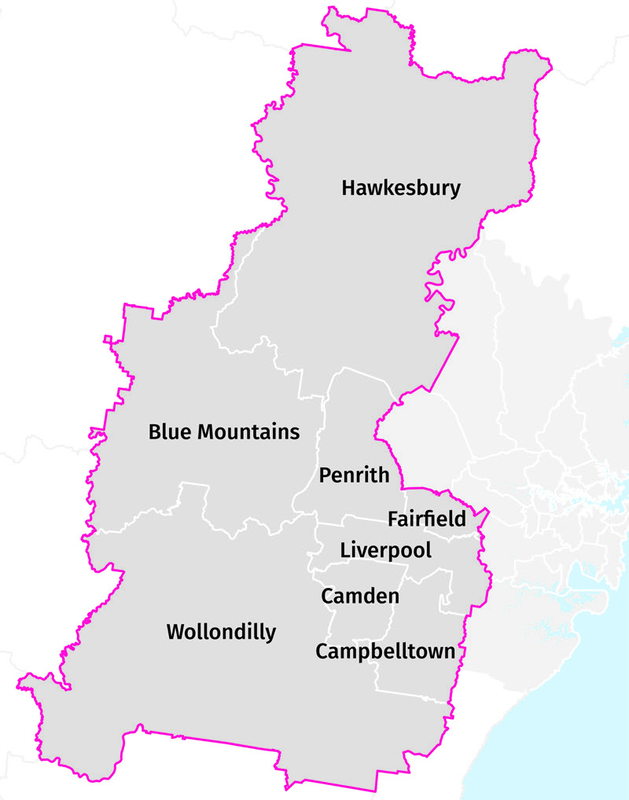 The Western City District covers the Blue Mountains, Camden, Campbelltown, Fairfield, Hawkesbury, Liverpool, Penrith and Wollondilly local government areas (refer to Figure 1). This Western City District Plan is a 20-year plan to manage growth in the context of economic, social and environmental matters to achieve the 40-year vision for Greater Sydney. It is a guide for implementing the Greater Sydney Region Plan, A Metropolis of Three Cities, at a district level and is a bridge between regional and local planning. The District Plan informs local strategic planning statements and local environmental plans, the assessment of planning proposals as well as community strategic plans and policies. The District Plan also assists councils to plan for and support growth and change, and align their local planning strategies to place-based outcomes. It guides the decisions of State agencies and informs the private sector and the wider community of approaches to manage growth and change. Community engagement on the District Plan has contributed to a plan for growth that reflects local values and aspirations, in a way that balances regional and local considerations (refer to Figure 2). A Metropolis of Three Cities has been prepared concurrently with the NSW Government’s Future Transport Strategy 2056 and Infrastructure NSW’s State Infrastructure Strategy 2018–2038 to integrate land use, transport and infrastructure across the region. In this context, all the transport initiatives outlined in this District Plan are sourced from Future Transport 2056. The concurrent preparation of the District Plans with A Metropolis of Three Cities has maximised the integration of these plans. All data in this District Plan is based on current Government published data sourced from State agencies. In preparing this District Plan, the focus has been on identifying the Planning Priorities to achieve a liveable, productive and sustainable future for the District. Relevant Objectives, Strategies and Actions from A Metropolis of Three Cities are embedded in each of the Planning Priorities, to integrate the District’s challenges and opportunities with the Greater Sydney vision of the metropolis of three cities. In undertaking strategic planning processes, and/or preparing or considering planning proposals, planning authorities must give effect to the District Plan, specifically the Planning Priorities and Actions. Environmental Planning and Assessment Act 1979, section 3.8 Implementation of strategic plans (cf previous s 75AI) and the NSW Department of Planning and Environment’s A guide to preparing planning proposals, Section B – Relationship to strategic planning framework. This District Plan has been prepared to give effect to A Metropolis of Three Cities, the Region Plan that applies to the five districts that make up the Greater Sydney Region. 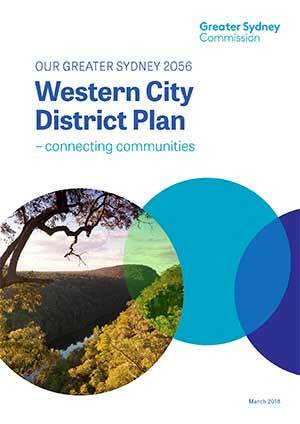 It is the role of the Greater Sydney Commission to prepare and finalise the district plans. This District Plan has been prepared in accordance with section 3.4 of the Environmental Planning and Assessment Act 1979 which requires it to include or identify: the basis for strategic planning in the district, having regard to economic, social and environmental matters; Planning Priorities that are consistent with the relevant Objectives, Strategies and Actions in the Region Plan; Actions for achieving those Planning Priorities; and an outline of the basis on which the implementation of those Actions will be monitored and reported. In finalising the Plan, the Greater Sydney Commission engaged with the community, businesses, councils, and State agencies throughout the process. This includes feedback from community and stakeholder engagement including submissions to the draft Greater Sydney Region Plan exhibited from 22 October 2017 to 15 December 2017 and the five revised draft District Plans exhibited from 26 October 2017 to 15 December 2017. Submission reports on the draft regional plan and district plans are available on the Commission’s website at www.greater.sydney. ‘Give effect to’ is the legislative term for delivering the region and district plans through local plans. Opportunities to coordinate and realise greater efficiencies in the implementation of plans have been made possible by the introduction of local strategic planning statements, which together with region and district plans strengthen the line of sight in strategic planning at regional, district and local levels. The common requirement for all plans to identify the basis for their strategic planning having regard to economic, social and environmental matters and for monitoring and reporting creates the opportunity to improve the integration of data and analysis that informs transparent decision-making and evaluation across all three spatial levels of planning. A key component of this framework is the local strategic planning statement which leads the local response to changes and trends. As set out in the Environmental Planning and Assessment Act 1979, the local strategic planning statement must include or identify the Planning Priorities that are consistent with any strategic plan for the area and (subject to any such strategic plan) any applicable community strategic plan under section 402 of the Local Government Act 1993. Local planning is supported by NSW Government funding for implementation and infrastructure. This includes funding that accelerates planning processes for a selection of councils and state infrastructure funding programs that align to growth (refer Planning Priority 5). The relationship between the plans and their implementation is discussed further in Chapter 6.